As The Derby Runner is a specialist running store, we cater for all levels of running, ranging from jogging for fitness to serious marathon running and from track and field athletics to fell running. 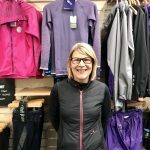 Established in 1988 by local athlete Pete Calladine and his wife Christine, The Derby Runner is one of the original running-specialist retailers in the UK. Gareth Long and Rob Jefferies took over the business 9 years later, although Pete and Christine remain closely associated. The Idea of The Derby Runner has always been simple: to provide customers with good personal service and advice on every aspect of running. We provide a shopping experience long since lost from the high-street ‘sports’ stores. With knowledgeable, experienced and friendly staff, we are able to offer detailed information on all our products. Rob – Rob has worked at the shop since 2000, became a partner in 2006 and sole director in 2014 . Rob has run from a very young age. A national standard middle distance and x-country runner with personal bests of 1min51s/800m, 3mins47s/1500m, Rob has also covered some of the longer distances, running 70mins for his debut half marathon. Now into his 30s and competing for Team Derby Runner, Rob is discovering how to juggle training and family life, like some of the other Derby Runner staff! He has a degree in exercise physiology & biomechanics and an interest in recent research related to running and fitness. He is best known for his advice and technical knowledge of ‘all things running’. Dave – Dave has worked at The Derby Runner since 2001. He has completed more than 45 marathons and now on the more experienced side of 55yrs old, has no plans of stopping yet. Dave only started running in his mid 30’s to get fit and stop smoking. He has since gone on to run a best marathon time of 2hrs48mins at the age of 47, as well as completing three Ironman triathlons since turning 56. Dave has completed marathons and other races around the UK and abroad. Including 3 marathons in 3 days, various 3-peaks challenges, and much more. You may have even seen Dave on TV, as he was a contestant on BBC 2’s “SAS; Are You Tough Enough” a few years ago! Dave also runs his business Team Tours Travel, based at the shop. Carolyn – Carolyn joined The Derby Runner in 2005. Having started to run in her mid 30s as a new challenge, she fell in love with the sport and the sense of personal achievement that came with it. She has completed 3 London marathons and various others such as Windermere and Mablethorpe. Carolyn enjoys all types of running, but especially ultra-distance events (such as winning the Long Eaton 50 mile race) and fell running. Freely admitting to being a non-elite runner, Carolyn particularly understands the demands of fitting in her running with work and every-day family life. She is best known for her bubbly personality and keen interest in all types of running. Carolyn is also a fully trained sports-bra adviser, so please feel free to request a discreet conversation if you need some advice from her. Chris –Chris –Since joining The Derby Runner in 2014, Chris has been an integral member of the team. Chris started running in 2000, after signing up for her first 5K Race for Life, and her love for running and challenging herself grew from there. From starting her first 5K in 2000, Chris now runs marathons and ultra marathons and has just completed her first 50 mile event this year! 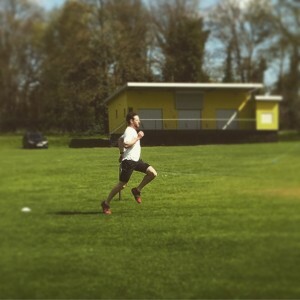 Running for fun, Chris favours off-road trail and fell runs and often plods near the back, but loves it nonetheless!